Brand New Inventory Home Being Sold By Builder! 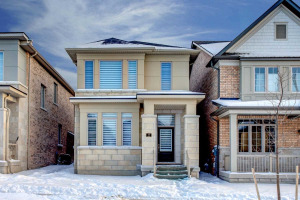 Quality-Built By Menkes, And Ready For Immediate Occupancy. New Home Warranty By Tarion. 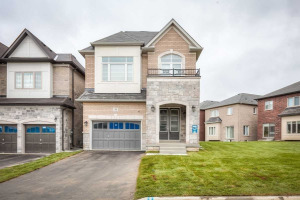 Shows Beautifully, With Many Upgraded Features, Including; 9 Ft Ceilings On Main Floor, Hardwood Staircase, Strip Hardwood Floors, Open-Concept Kitchen With Granite Countertops And Island With Breakfast Bar, Master Bdrm With Luxurious 5 Pc Ensuite Complete With Soaker Tub & Glass Shower & Additional Bdrm With 4 Pc Ensuite! Beautifully Appointed. 2,343 Sq. Ft Per Builder Plan. Incl S/S Fridge, Stove, And B/I Dishwasher. Main Floor Laundry With Access To Garage. Energy Star Home With Vinyl Windows & 35 Yr Shingles. Gas F/P!